Click on Add comment besides Add icon and the comment section will open. Write your comment in the text field. 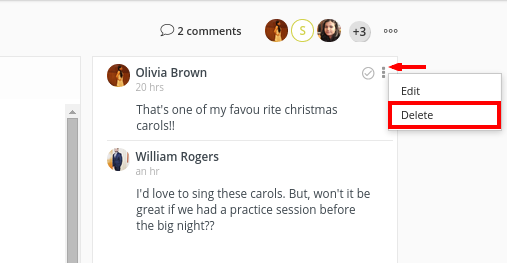 When somebody adds comment on any note that is related to you, you will be able to see the number of notifications on comment icon. You can click on the count to open the comment panel. Click on the menu icon from right and choose Edit option. A window will pop up from where you can make necessary changes to your comment. Click on the menu icon and choose Delete option. A confirmation window will pop up. Click Yes to delete the comment. 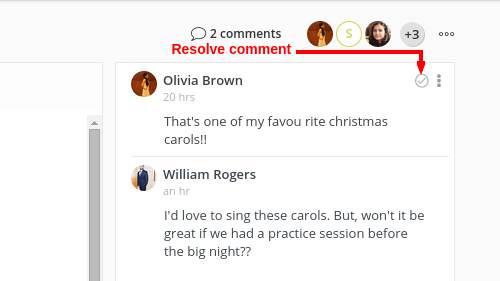 Resolve a comment when you are done with the changes. 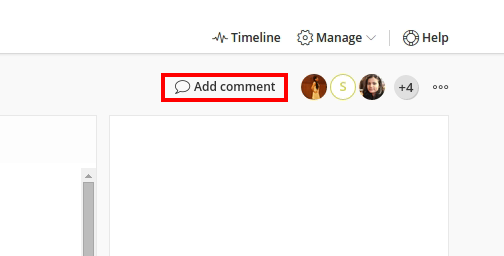 To resolve a comment, click on the check icon and it will be marked as resolved. 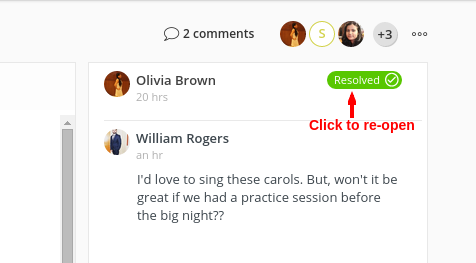 For any reason, if you feel that the resolved comment is not yet complete, then you can always reopen that comment by clicking on the resolved icon and it will be re-opened.